This week I decided to do a little Diva/Band Mixtape. I mixed up with some funk and some disco. Found time to include a little rap which of course started in the 70’s. If you don’t know all the lyrics to Rapper’s Delight…you are not a black music fan!In that section Todd Kelly dropped through. Mr. Fresh made sure to get in a request for “Disco Nights” by GQ. I can just see him hustling can’t you? Me and EJ share a deep love for LTD…when they wore funky clothes and danced like rabbits. 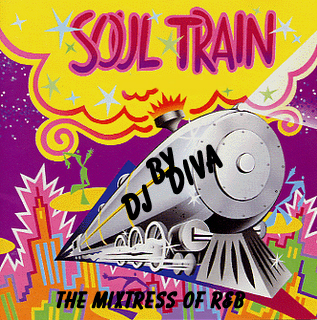 DJ Diva is a true lover of Diva music so I had to include Donna Summers, Gloria Gaynor and start off the mix with two of my favorites by Diana Ross. My husband has been requesting Earth Wind and Fire for like forever so I blessed him with two of our favorite cuts. And lastly…My brothers…the twins…love to rollerskate so I included some songs I can remember from when my aunts used to take me skating at the old rink on 135th and Broadway. Just in case you haven’t figured it out by now… I LOVE this mix! I can always count on you for Monday dopeness! Well done, as always. I was having lunch with Will and he was askin’ me to do a disco Old School Wednesday! I told him I’d have to think about it. Pssh. With this right here, I don’t need to do anything now. Let me redirect him over here…. GQ – Disco Nights….man, man, man. That is the ultimate disco song to me. I was playing in an R&B at 17 and this was our hallmark cover song! NICE rep of disco…dats why they call u The Mixtress! What can I say…You’ve done it again!! Thank you especially for including (Every Time I Turn Around) Back In Love Again.” Been way too long since I heard that one. And I could listen to “Flashlight” 10 times in a row. @TGrundy — As a fellow ex-college radio jock, I can relate, Brother!! !